Whether your Isuzu is for business or pleasure, high quality car mats protecting the interior from soil, mud, dirt and oil are a must. Our tailored car mats are suitably hardwearing, fire retardant and waterproof, and are available in a range of colours and styles. Our customisable options allow you to choose from a 3mm or 5mm rubber base as well as the option for standard, low cost carpet of luxury wool twist pile. Choose your own text or logo, or let us design one for you, and personalise right down to the colour and material of the edge trim. 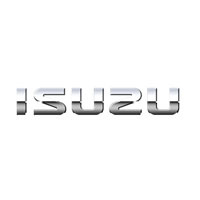 Made in the UK, covered under the manufacturer’s warranty, cut from the original Isuzu templates and with all the fixings supplied, our tailored car mats sure to protect your vehicle and give you peace of mind.